Kathy Wang’s debut novel is the story of a Chinese American family whose unpredictable father, Stanley, learns he has pancreatic cancer. As his health declines, the family contends with the messy question of inheritance, cultural expectations, and career ambitions. 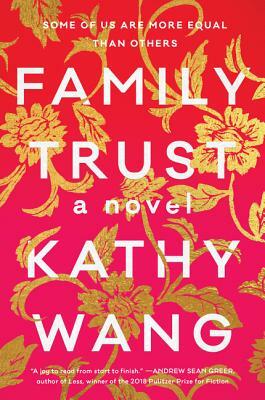 Wang tackles the importance of family, values of Silicon Valley high society, aching, and ambition. A funny and touching book! I can’t wait for her next one! Kathy Wang grew up in Northern California and holds degrees from UC Berkeley and Harvard Business School. She lives in the Bay Area with her husband and two children.